The Guinness cap catcher is made of stainless steel and features Guinness branding. This great kitchen or bar accessory would complement several of our wall mounted Irish bottle openers. 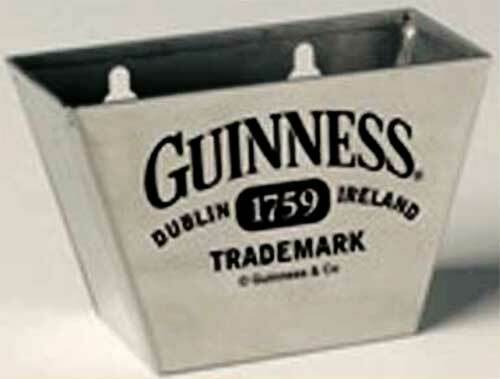 The Guinness cap catcher measures 5 1/4” wide x 2 1/2” tall and includes the mounting hardware in the gift box.